The Sterling on Sandalwood! Terrific 1 bedroom corner suite features an open floor plan, 9' ceilings, crown mouldings and a large kitchen with granite counters and rock backsplash. Enjoy laminate floors in the living & dining rooms a love ly rock fireplace and patio doors from the living and bedroom leading to a sunny patio. 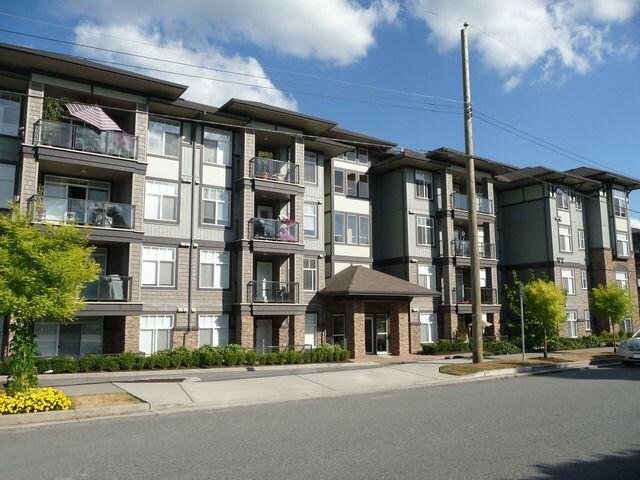 Quiet location near Abbotsford Regional Hospital, Mill Lake Park, City Hall, schools, shopping, transit and easy access to Hwy1. No rentals, Strata fee $201.68, parking #30, locker #23, 1 pet only, cat or dog, no size restriction.